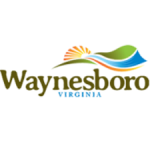 Waynesboro leaders are going to save city taxpayers $140,000 this year by reneging on an economic-development deal with the Wayne Theatre. Waynesboro is already an absolute joke in economic-development circles for the inaction of the last eight years. 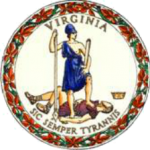 Virginia has spent $679 million for performance and ongoing economic development incentives since 2010, according to a presentation received by the House Appropriations Committee on Monday. Governor Terry McAuliffe announced today that the Fiscal Year 2017-2018 budget he will introduce on December 17 will include a $2.43 billion bond package. The Shenandoah Valley Partnership hosted two economic development events this fall focusing on the Shenandoah Valley’s access to markets and substantial transportation and logistics assets. The state often imposes enormous regulatory hurdles like licensing fees and time-consuming and expensive classes on people trying to carve out a basic living. And it’s all done by the state for our supposed safety. But this is time and money that Achan Agit, a hair-braider from Iowa, simply didn’t have. Waynesboro leaders voted four years ago to pay $3.475 million for what is now 177 acres of scrub brush located off Exit 96. And it will remain scrub brush if Waynesboro City Council member Frank Lucente gets his way. Economic development and industry will be key topics of discussion Monday, Oct. 12 during a biotechnology showcase of the Shenandoah Valley at James Madison University. What role does a new Waynesboro High School play in economic, community development? The Waynesboro School Board is trying to cast the need for a new $76 million Waynesboro High School in economic development terms. A new school, board members have argued, will help attract new business to Waynesboro, and even if it’s just a sales pitch, it’s a sales pitch based on a valid point, when you consider how decisions are made about locating a new development project somewhere. Congressman Robert Hurt (R-Virginia), along with Senators Tim Kaine (D-Virginia) and Mark Warner (D-Virginia) and Congressman Morgan Griffith (R-Virginia), recently introduced the Commonsense Permitting for Job Creation Act (H.R. 3434 and S. 1914) in both houses of Congress. Qore Systems LLC will invest $12.8 million to relocate from Arizona and establish its first Virginia operation in Highlands Business Park, owned and operated by Smyth County and Washington County. 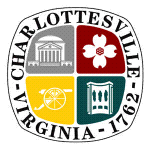 City of Charlottesville officials will meet with representatives from Smart Growth America on April 28 and 29 as part of a free, grant-funded technical assistance program. The Virginia Economic Developers Association (VEDA) announced the selection of The Shenandoah Valley Region as winner of the 2015 Community Economic Development Award for the Fields of Gold Agritourism Program. Governor Terry McAuliffe today announced $226,000 in Building Entrepreneurial Economies (BEE) awards for 12 projects in the Commonwealth. Governor Terry McAuliffe announced this week that Virginia’s public institutions of higher education renewed and expanded their commitment to economic development. 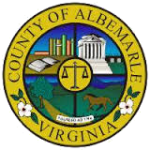 Albemarle County has named Faith McClintic as its new economic development director effective April 1, 2015. 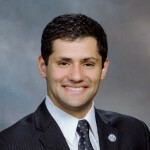 McClintic will be the first director of the County’s newly established Economic Development Office. Agritourism farmers, economic development staff, and local government leaders will gather on Tuesday and Wednesday, March 10-11, at the Stonewall Jackson Hotel in Staunton, to explore innovative ideas on agritourism at the 2015 Virginia Conference on Agritourism in the Creative Economy. Dr. X.J. Meng, University Distinguished Professor of Molecular Virology at Virginia Tech, has been named a Fellow of the National Academy of Inventors (NAI). Charlottesville’s work to make downtown a more walkable, attractive destination has helped us win a national competitive award. Governor Terry McAuliffe at last week’s Virginia Economic Summit announced the City of Staunton as one of the first three communities that will each receive up to $100,000 for small business development. Gov. Terry McAuliffe unveiled the first ever Virginia Community Business Launch and announced the first three communities that will each receive up to $100,000 for small business development: the cities of Staunton and Hopewell and Gloucester Courthouse in Gloucester County. Virginia elected officials, business leaders and advocates from across the Commonwealth released statements today following Governor Terry McAuliffe unveiling his New Virginia Economic Strategic Plan. 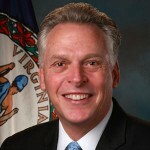 Governor Terry McAuliffe released his New Virginia Economic Strategic Plan and a series of legislative proposals aimed at accomplishing the plan’s mission of growing and diversifying the Virginia economy. Governor Terry McAuliffe today announced that Virginia will host a world class business plan competition during the spring and summer of 2015. 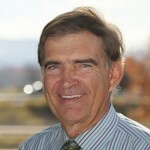 John Donohue has been named the new campus director of American National University’s Charlottesville campus. 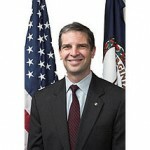 State Sen. Emmett Hanger (R-Augusta), Chairman of the Virginia Rural Center, has taken a lead role in organizing and hosting the Governor’s Summit on Rural Prosperity. The Center for Innovative Technology announced the release of the Commonwealth Research and Technology Strategic Roadmap for fiscal year 2015. For the past six months, a local group of residents has met regularly to discuss ways to revitalize, organize and improve Staunton’s West Beverley corridor from Thornrose Cemetery to the Augusta County line. The City of Waynesboro Virginia received a Bronze Excellence in Economic Development Award for its 2014 project in the category of Special Purpose Print Brochure. Dennis Burnett cannot be gone. He would be a bright light on a star in the sky; he could serve as a source of energy power for a small town. People like that don’t die; they don’t even fade away. A growing group of agritourism operators in the Shenandoah Valley of Virginia recently received a significant boost in promotional and technical support with the award of a $93,674 U.S. Department of Agriculture (USDA) grant to the Fields of Gold Agritourism Program. 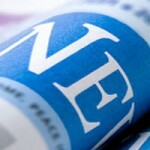 Governor Terry McAuliffe announced this week the release of a Virginia advertising section that appears in the 2014 Forbes 400 magazine issue. The Governor and Mr. Steve Forbes, Chairman and Editor-in-Chief of Forbes Media, hosted an event in New York City to celebrate the advertising section.